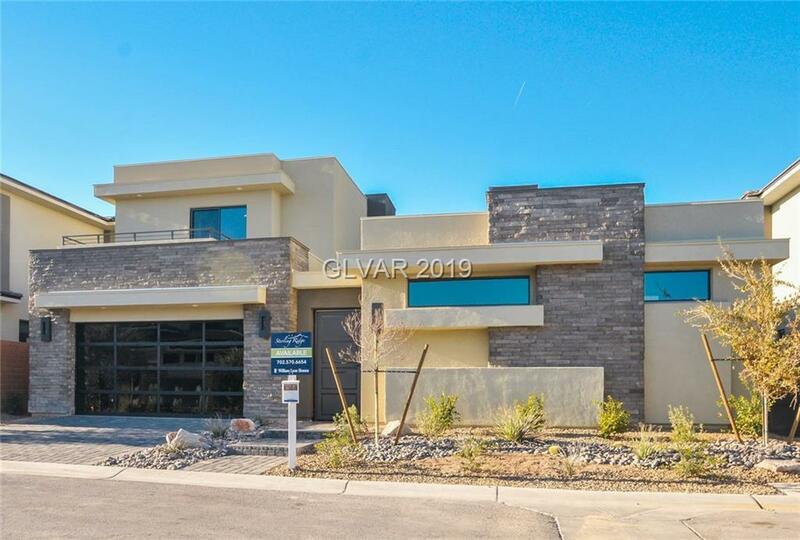 This Desert Contemporary Home located in the Ridges of Summerlin features stunning designer finishes. Spacious open ceilings and large rear veranda showcases the exquisite architecture. The Kitchen is appointed with an oversized waterfall Quartz island and Bosch appliances. The great room includes three large glass multi-slide doors, linear fireplace and the master bathroom has artful detailing and a luxurious free standing tub. Directions: From Flamingo And Town Center, West On Flamingo To Round-A-Bout. Take 2nd Exit To Granite Ridge And Right On Pearl Ridge Into Community And Sales Office.